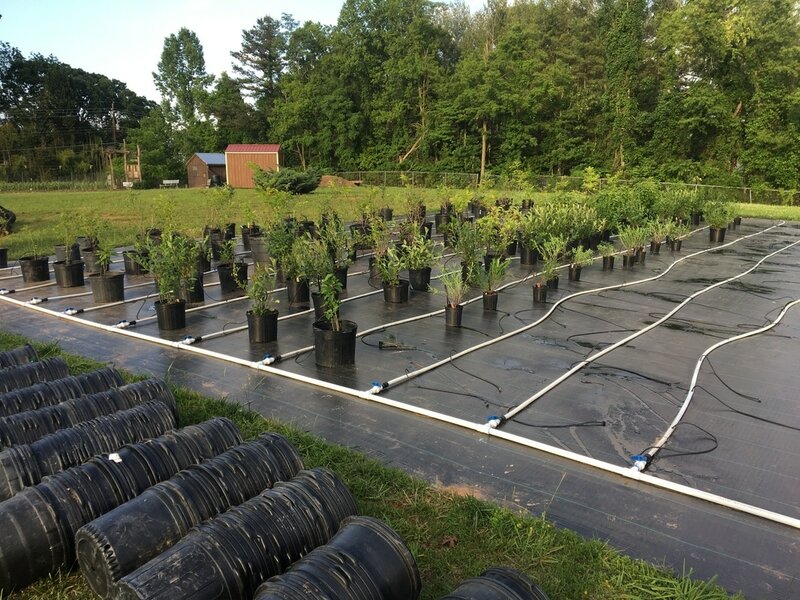 Thanks to a grant from Buncombe County Parks & Recreation Department, Asheville GreenWorks installed a native tree nursery. 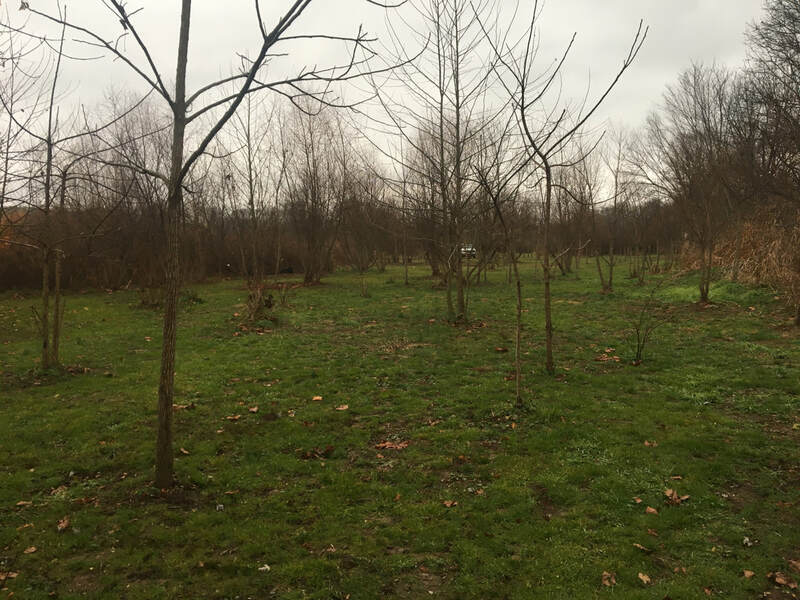 This nursery will allow us to grow specific native trees that we will plant in public places throughout Asheville and Buncombe. 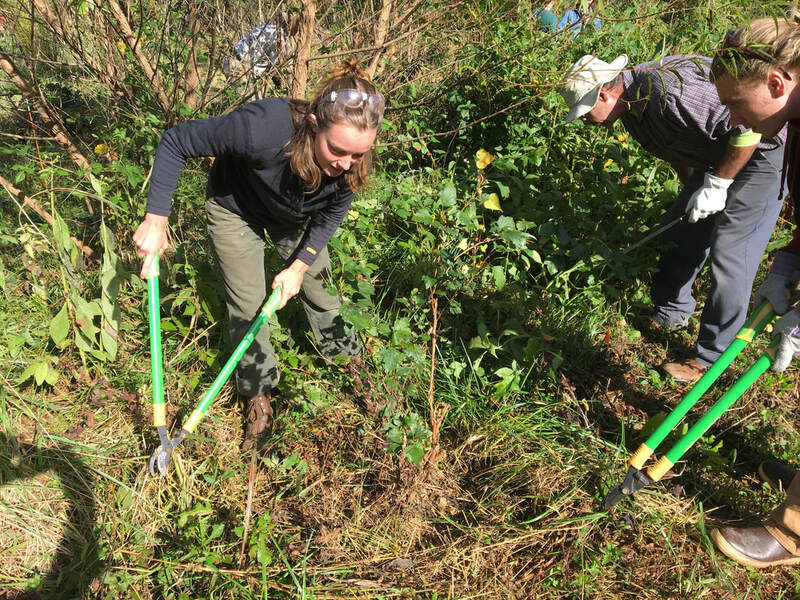 Asheville GreenWorks strives to plant no less than 500 trees annually. 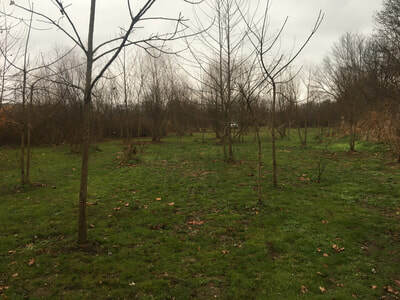 This new project will allow us to plant a greater variety of fruit and shade trees to support a more diverse ecology. Both our Food Tree Project, creekside nursery and this new tree nursery are great learning opportunities for the community. 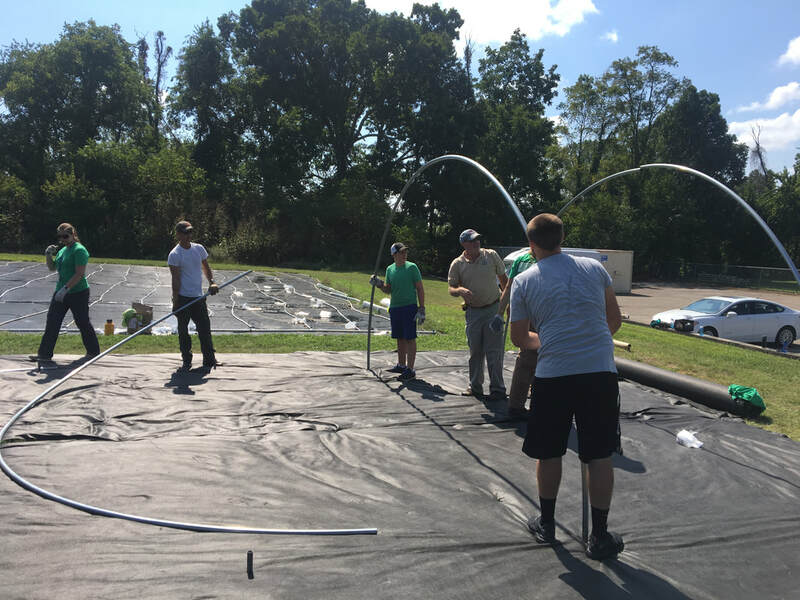 If you or your group is interested in helping out, please email Eric Bradford. 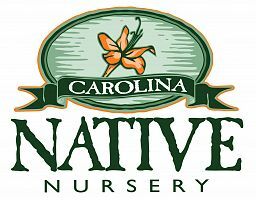 Thanks to Brad Martin of Southeastern Native Nursery for dedicating his teams time and energy to getting this project up and running. 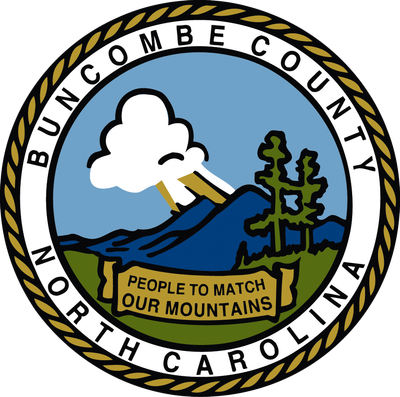 Thanks also to Buncombe County for funding this project, providing the property and supporting our mutual goal of a "clean & green" community. Thanks to Bill Jones from Carolina Native Nursery for setting up our hoop house. 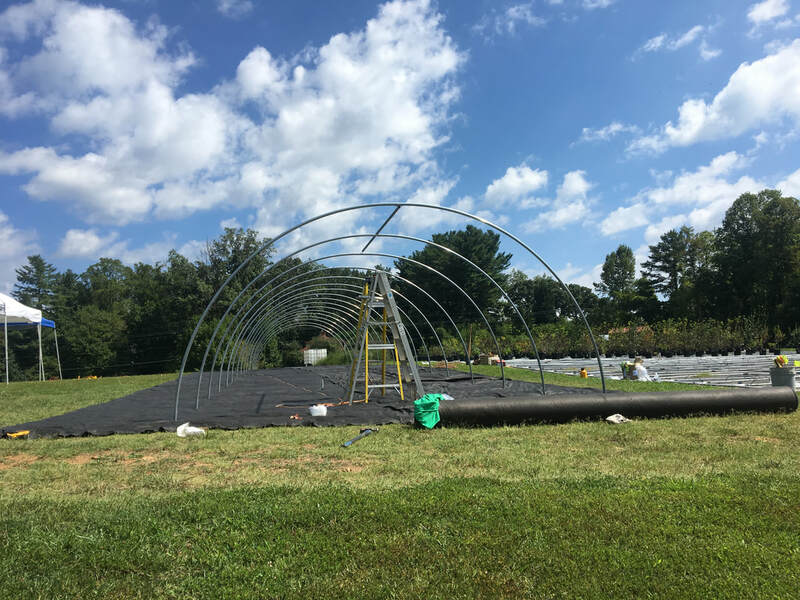 This 96x16 foot structure will allow us to propagate trees and get a jump on the growing season. 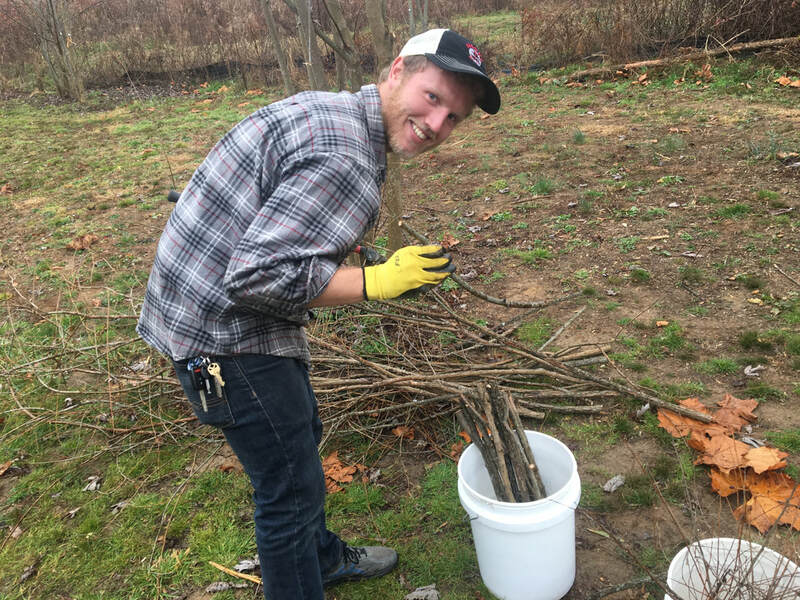 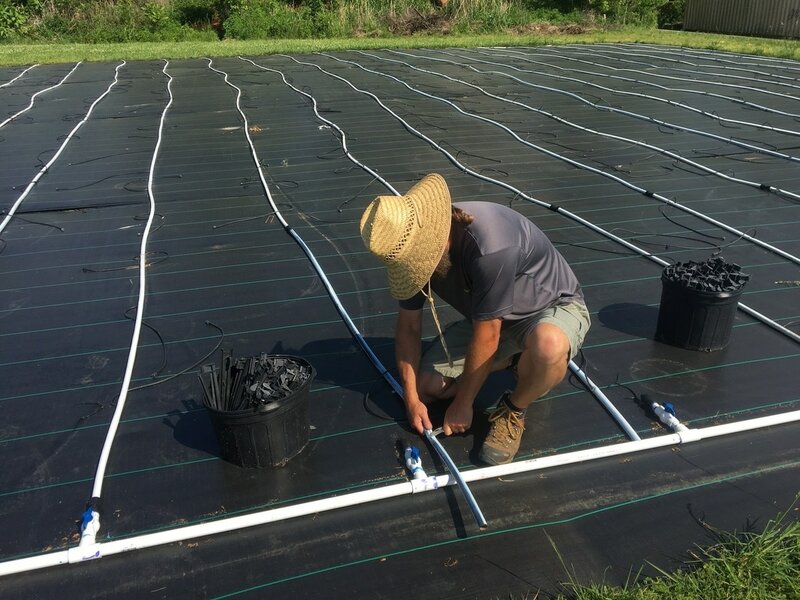 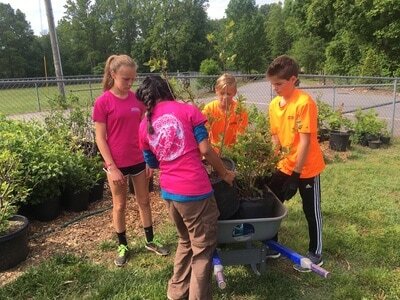 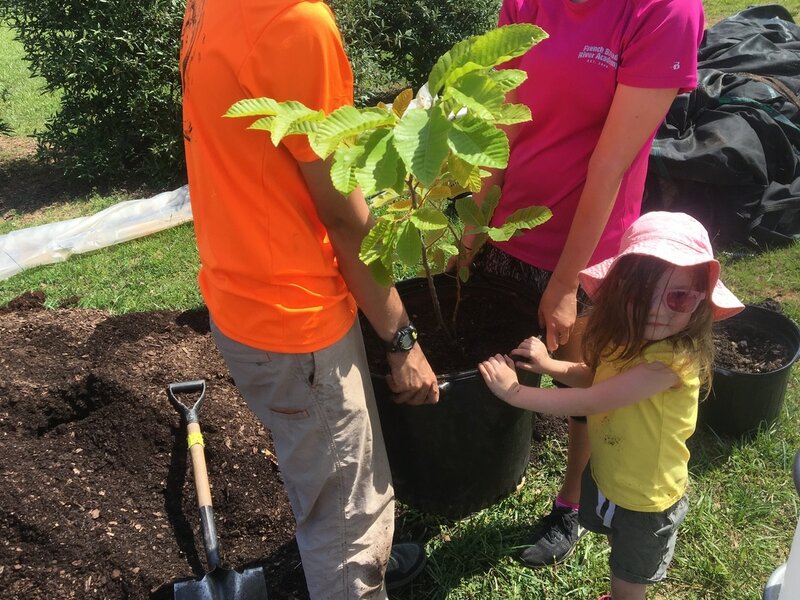 In partnership with the Franklin School of Innovation and funded by the Pigeon River Fund, Asheville GreenWorks installed a creekside nursery to grow trees species suited for live staking. 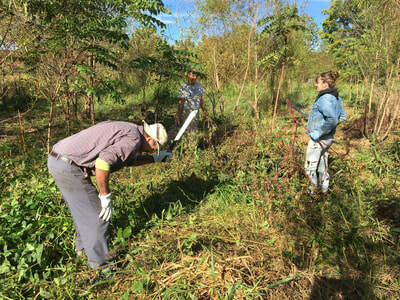 Live stakes are cuttings taken from dormant woody plant species used to establish riparian vegetation. 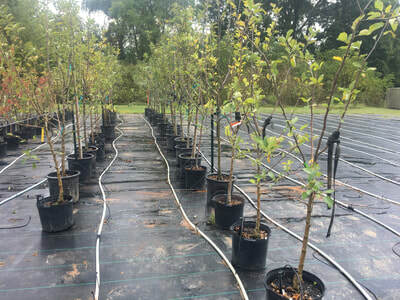 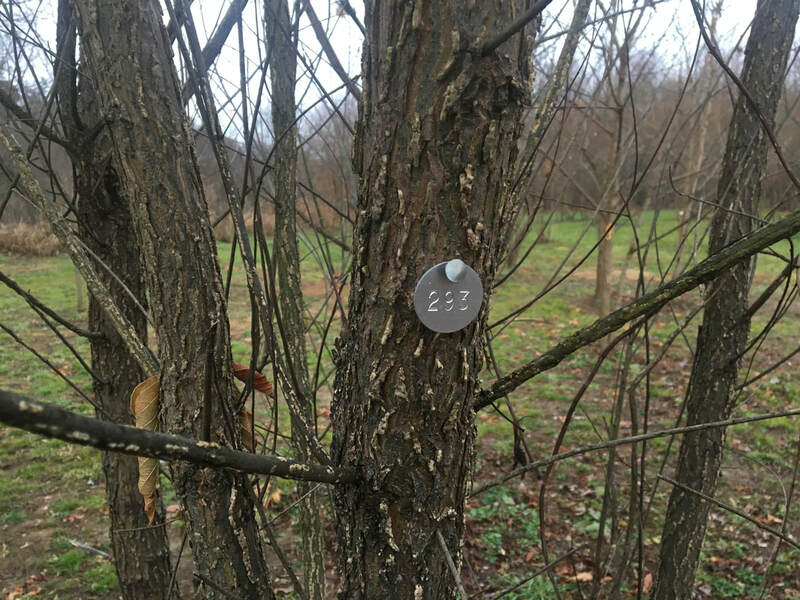 We harvest cuttings from these trees in the winter for river and creek band restoration efforts.